This map isn't part of any series, but we have other maps of exploration that you might want to check out. Tomorrow is the 152nd anniversary of the first parcel to be delivered on the Pony Express. 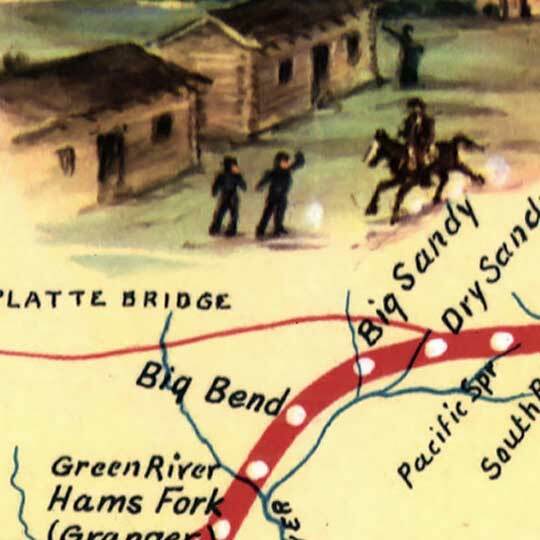 Here is Howard Driggs' 1960 map depicting the route taken by Pony Express couriers.